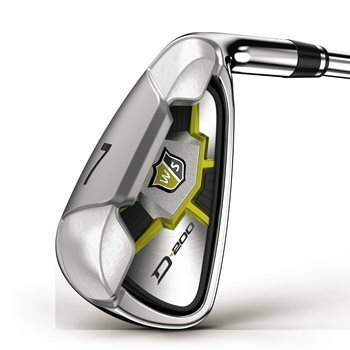 The Wilson Staff D200 irons are designed for the "Distance" player needing power. As well as accuracy and confidence-inspiring look at the address. With Speed Sole Technology that allows for a thinner face-to-sole transition resulting in driver-like CT''s, faster ball speeds and longer distance.